Human Races: Where do we come from? Where do we come from??? This a question that humanity has asked itself practically from the time we developed the ability to question.With few answers forthcoming, we provided our own: The Babylonians believed we were created from the blood of an 'Elder God', for the Norse the first man and woman were shaped from tree trunks. Whether you believe we were forged in fire or shaped from clay,the myths of our origin are as diverse as humanity itself. 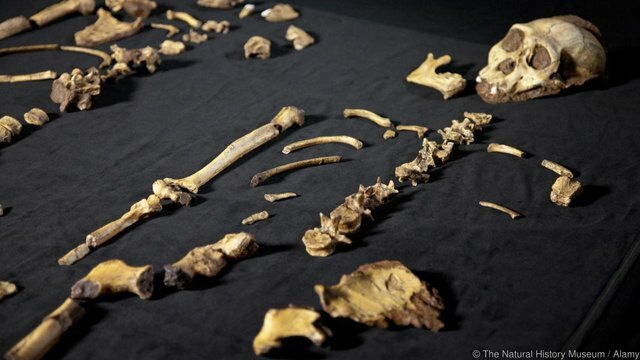 When the shamans faded away the scientists stepped up and in 1974 the discovery of Lucy, a well-preserved fossil of a female Australopithecus afarensi - an early species of humanity which lived between 3.8 and 2.9 million years ago- rewrote the history of humanity. She walked upright, the scientists discovered from studying the fossil found in Ethiopia, and this is significant because the shift to bipedal walking is considered an important revolutionary marker that defines humanity: no other mammal walks the way we do. It was likely the search of food - a driving need - that forced her species to venture down from the trees and into the savannah. Now apart from fruit and such,Lucy's kin ate grass and sedges and possibly even meat.These new appetites necessitated the development of new skills, and there is evidence that Afarensi used stone tools to butcher meat and crush nuts. As we have seen countless times, one advancement usually leads to another. Lucy's discovery gave birth to the 'Out of Africa' theory, which postulates that Homo Sapiens evolved in (East) Africa and then migrated outwards in a single wave around 60,000 years ago. But a fragment of Homo sapiens finger bone found in the Saudi desert earlier this year was found to be 90,000 years old, meaning that the accepted timetable was off by 30,000 years. That's not all; a set of 47 human teeth were discovered in a cave in China which date back at least 80,000 years.Messing with the timeline even more is a fossilized human jawbone discovered in Israel that could be up to 194,000 years old.This means that the migration could have started 50,000 years before we imagined it had, and could have taken the form of multiple waves. 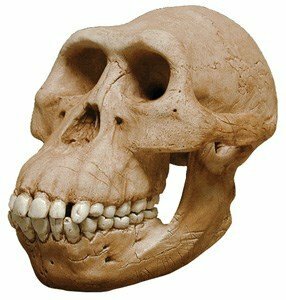 Even the East African Eden theory is being challenged, this time by the discovery of Homo sapiens fossils in Morocco, which date between 300,000 and 350,000 years ago.these early human were more advanced than we thought; with discoveries in Jordan revealing that humans in the Middle East around 250,000 years ago hunted and butchered animals using tools and strategies far more sophisticated than we believe them capable of developing. 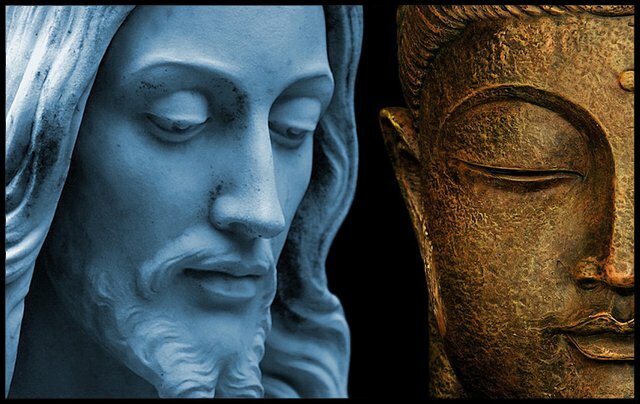 If our timeline has been off not by thousands, but by tens of thousands of years, then imagine how much else we could be could be wrong about or ignorant of? Did entire civilizations exist that we never imagined existed? And what of our evolutionary cousins? The other species of Homo that we replaced assimilated or exterminated? The word 'Neanderthal' survives as an insult, implying a cruel and brutish mindset, but we now know that they were likely they were the first artists Earth has seen, and skilled tool-makers who even used toothpicks to clean their teeth! Like the far more primitive Homo naledi, Homo neanderthalis also buried their death with ceremony, implying belief in the afterlife, abstract concepts that we like to believe are exclusive of us.Neanderthal brains were larger then ours, but slower to grow and adapt; while this may have led to their extinction, one wonders what other abilities they my have possessed . They exist now only in fossil records ... and the imaginations ... and the traces of their DNA that we still carry within us. And then their is Homo florensis, popularly known as the hobbits - an entire species of humanity that stood only three feet tall and had a brain the size of a grapefruit. Their fossils were discovered in 2004 on an Indonesian island and scientists debate whether they died out 50,000, or a mere 12,000 years ago. Again this begs the question: how many other races of man have there been? How many did our ancestors encounter? 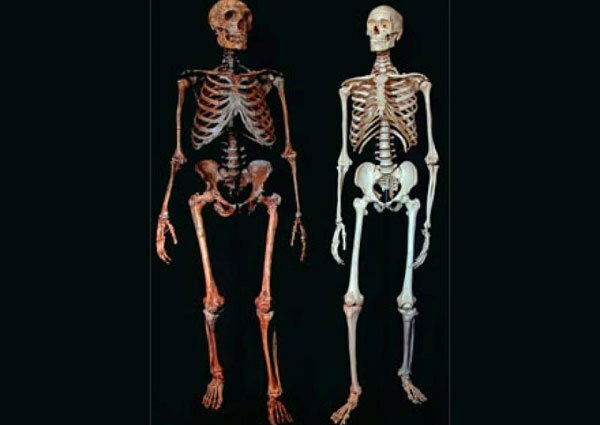 Were these the giants and elves of myth?How much of them survives within us, whether as a genetic trait or a racial memory? And what will become of us?We seem to certain of our immortality as a species, when other very similar species once flourished - and are now no where to be found - causalities of a natural selection.Indeed, we are now at a place where we can direct our own evolution - with gene editing a reality and human cloning only perhaps a decade away. Will we create our own replacements?And will they then look back at us with the benevolent contempt that we reserve for the Neanderthals, when we are but an echo of an echo, a chapter in their history books and a strand in their DNA? Thank You guys for reading!! !